Joe Gurrera: Hello, my name is Joe Gurrera, and I'm here today to talk about my new cookbook, which I wanted the title to be Taking the Intimidation Out of Cooking Seafood, but I was outvoted by my project manager, my writer, my publisher, my wife, my assistant. They said, "The name's too long," even though that's the premise of the book, so they came up with the name Joe Knows Fish. Suzy Chase: You're the owner of Citarella markets, New York's most respected seafood authority. First off, the burning question, well two burning questions. Why did you write this cookbook, and why are people afraid to cook fish? Joe Gurrera: Being in the business for 40 years, that's all I've heard. That's a lot of what I've heard from my family, my friends, and my customers. How do I do this? How do I do that? How do I do this? How do I do that? That was the purpose, my incentive to write the book. I've been wanting to write this book for about 15, 20 years, but I was too busy building a business. Now I hired different people, and I've been able to take the time to write the book, so that's what I've done. That answers your first question. The second question was why. The reason why, in my opinion, is because it's delicate. Handling a piece of fish requires finesse. I'm going to make you laugh, but even when I used to hire seafood guys, I would look to see how they picked up the piece of fish because you had some guys, they would pick it up like a bricklayer. You can't do that. You could pick up a steak like a bricklayer or you could pick up a chicken like that, but you need soft hands because of the delicateness of it. I know it sounds funny, but it's really true. Because of that, people even years ago when they're cooking, when you cook a steak, you cook your chicken, it's going to take you 20 minutes, whatever you're going to do. When you're cooking a piece of fish, literally it could take you two minutes on each side. In the cookbook, I joke around. I say, "Don't answer your cell phone because if you do, it's going to be more than two minutes and you're done, and you're not going to achieve what you want to achieve. Suzy Chase: For cookbook lovers outside of New York City, give us a little background on Citarella. Joe Gurrera: I bought this little seafood market that was 12 feet wide in 1983, and it was just a seafood market. I was in my 20s. I was always entrepreneurial, I guess, my aggressive nature. I started expanding right away. My store was a middle store of the building. On the 75th Street corner side, to the north were three other stores, a candy store, a dry cleaners, and a shoe repair. They were all older people, so one by one I took the three of them over. Shortly thereafter that, I was able to purchase the building. On my other side was a clothing store, and the clothing store was paying me rent. I'm going to say six months after I purchased the building, I got a knock on the door. "Yeah?" The IRS. I said, "What did I do now?" They said, "It's not you, it's your tenant. We're locking him up. He hasn't paid taxes." They put a lock on the store, and they closed every bank account the guy had, whatever it was. In 30 days, they gave me the store back even though that guy had a lease. They gave me the store back, so now I said, "What am I going to do?" I started talking to people, and I started thinking, and I went into the meat business. I made a separate store called Citarella Meats. That was in 1991. I didn't want to damage my seafood reputation, which I had established. I was afraid. I didn't want to damage that reputation, so I kept it separate, and I started a meat store. Shortly thereafter, I realized what a mistake it was. Then I took the wall down, and that's when Citarella became the full grown Citarella as you know today. Suzy Chase: Describe growing up as an immigrant fisherman's son. Joe Gurrera: When he came to this country, I believe it was 1948, I think he went to Boston, then California, then back to New York. He was working for a mattress company, working for different things. At that time in New York, from where he's from in Sicily, which is a town called Sciacca, S-C-I-A-C-C-A, there was maybe a dozen people from Sciacca that had fish stores in the five boroughs. That's how he got into the seafood business. He opened a one-man seafood shop. I think he went to work for somebody first, and then he opened his own once he learned the business. Suzy Chase: Take us back to the days when the Fulton Fish Market was downtown underneath the Brooklyn Bridge. Joe Gurrera: There was a lot of warmth. There was a lot of character. The conditions were a lot rougher working down there because shortly after I conquered Citarella, I became a partner in a concern in the Fulton Fish Market. Shortly after that, I was working there. I was working two jobs. I'd be getting up at 2:00 in the morning, going to the fish market, working there. When that's done by 10:00, then I could be coming up to Citarella and doing my second job. Working in the fish market, there was a lot of character. There were a lot of characters also. The winters were cold right underneath the Brooklyn Bridge on the river. Even though I loved it and I still miss it, it's a sign of the times. You had to get into health code, a refrigerated building in the cold chain to preserve the seafood, so it was time. That building lasted over 100 years. Suzy Chase: I miss it, too. I miss being over there with the sites and the smells. You could see the fish flying in the air. Joe Gurrera: Listen, it was quite an interesting place, it really was. Suzy Chase: I'm dying to hear your thoughts on sauces. Joe Gurrera: On sauces. First of all, I'm a really simple guy. I eat simple. I like grilled. I'm not a saucy guy. Don't get me wrong, I've gone to those tasting meals, and Jean-Georges is my friend. They're all my friends. I know them all. For me, I just want a plain, simple grilled piece of fish. If you want, I'll put some olive oil on it. That's what I like. Again, that's me. Suzy Chase: Speaking of olive oil, I was surprised to read that you don't cook fish with butter. Joe Gurrera: I never cook fish with butter. Joe Gurrera: For me, it's more of a personal preference. I do use butter for other things, but the dairy will overpower the seafood flavor. Even to make a seafood stock out of shrimp shells or whatever it is, it will be camouflaged. I love oysters. I was just in Europe, and I had oysters in Spain, I had oysters in London, and I had sea urchins in Sicily. When I eat them, I want to taste the oyster. Matter of fact, when I was in London, they also had some oysters from Ireland, which were very good also. But I get the oysters on the half shell, and I eat them. I'm ordering oysters, and the guy at the table next to me, he got a dozen oysters, but he's putting his cocktail sauce. He's squeezing his lemon. If I get four Wellfleets, or four Maine oysters, or four Rhode Island oysters, I want to taste the salinity. I want to taste the plumpness. I want to taste everything. The guy that put the cocktail sauce, or the lemon, or the vinegar, the mignonette sauce on it, he's not going to be able to tell the difference. That's not what I do. It camouflages. You've defeated the purpose of ordering three different types of oysters, because you want to taste the difference. Once you put the cocktail sauce on it, you're not going to know the difference of anything. Suzy Chase: This cookbook is dedicated to your wife and the memory of your mentor and friend, Tony Marotta, who taught you the rules of the road. Once you settle for mediocre, they will sell it to you every time. Tell us about Tony. Joe Gurrera: Boy oh boy, okay. Tony was a class act. Tony was the kind of guy who was like Mr. Clean. He had a brand new white jacket every day with a white cap. He was Mr. Perfection. His fish store happened to be in Brooklyn. We met because we parked our trucks next to each other, so we started to become friendly. I was in Manhattan, and he was in Brooklyn. In Manhattan, the items that you sell here, you sell a fuller line of products, where in Brooklyn in an Italian neighborhood or in a Jewish neighborhood, you're not going to sell the oysters or you're not going to sell certain items. In Manhattan, you sold everything. Tony gave me a lot of pointers, and then I just applied myself and I just took everything further. He was a great guy. Suzy Chase: What was the best thing he ever taught you? Joe Gurrera: Quality, always the best. Knowing what the best is. The quality, absolutely. Suzy Chase: I like how this cookbook is divided up by styles and not by fish types. For example, you have a chapter dedicated to poaching and steaming and another one for tossing with pasta. Talk a little bit about that. Joe Gurrera: The reason why I have the chapters the way I did, again, it's all related to taking the intimidation out of cooking seafood. The first one is grilling. The grilling is the easiest one, and it'll be most comfortable for people that are intimidated because I'm sure they know how to grill a burger or they know how to grill a steak. Cooking a piece of tuna and swordfish would be very similar. That's why I started with grilling. Then after grilling, I go to baking and roasting. Again, there's not as much work involved. You put the fish on a pan and you put it in the oven. The same thing with the broiling. Then when you go down, the next one is sauteing. Sauteing requires a little movement. You've got to take it, you've got to flip it. It requires a little more work. Similar even to the frying part or even the pasta part whether it's clams, the cuttlefish ink, or the bottarga, it requires a little more movement and putting things together. That's how I wanted to write the book, as more complicated as it goes down. Suzy Chase: Okay. Home cooks have their seafood shop or even the seafood section in our grocery store. What are the top three things we need to look for in terms of picking out fresh fish? Joe Gurrera: First, you have to trust your fishmonger if the place has a good reputation, number one. Everyone says, "What do I look for? Do I look at the eyes? Do I look at this?" Looking for fresh seafood, the best way that I could describe it simply is it has to look like it's in HD. Suzy Chase: Did you see a couple of weeks ago in the news a fish market in Kuwait stuck googly eyes on their less than fresh fish to make it look like they were fresh? Joe Gurrera: Really? I didn't see that. Joe Gurrera: Can you send it to me? Suzy Chase: Yes, I'll send it to you. Joe Gurrera: Joe@citarella.com. Send it to me. Suzy Chase: Okay. It was really funny. Anyway, is it bad that I hate deboning fish? Joe Gurrera: I'll make you laugh. I have a friend who happens to love spaghetti and clam sauce, and I have a favorite place that does it pretty well. I said, "Tom, you want to go?" He doesn't like to get his fingers dirty to take the clam shells out. Suzy Chase: I love him. Joe Gurrera: I looked him, I said, "Tom, I'll do it for you, for Christ's sake." I said, "I'll do it for you." He goes, "Okay," so we went. People are different. To me, I only want that. I want a whole fish. I love a whole fish. That's one of my top five. Suzy Chase: Can I have your guy at Citarella debone it for me? Joe Gurrera: Of course you can. They could debone it. They could filet it. Any good fishmonger will do anything that you want. Suzy Chase: The other night for dinner, I made your recipes for salmon tartare, baked cod, chunky mashed potatoes, and your tomato and red onion salad. This whole meal was quick and so delicious. The cod, I got it at Citarella, naturally. I got everything at Citarella. The cod was flaky and moist, and the salmon was like butter. Fish is such a good family weeknight dinner option, don't you think? Joe Gurrera: Listen, I think not only that, with all its oils and all the health reasons for it. Suzy Chase: Now to my segment called My Last Meal. If you had to place an order for your last supper, what would it be? Joe Gurrera: Probably would be I'd start it off with a little caviar. Then I'd probably have some oysters. Then I'd have a little bit of, whether it's spaghetti and clam sauce or even spaghetti with the bottarga, which I had in Sicily two weeks ago, which was out of control, ridiculous. Then I would have a grilled piece of whole fish. That would be my last meal. Suzy Chase: Where can we find you on the web, social media, and in New York City? Joe Gurrera: On the web, it is Citarella.com. There is also joeknowsfish.com. We area also on Facebook. Suzy Chase: Where are your locations in New York City? Joe Gurrera: New York City, we are on the Upper West Side on 75th and Broadway, on the Upper East Side on 75th and 3rd, and we are in Greenwich Village on 6th Avenue and 9th Street. We have three stores in The Hamptons, one in Bridgehampton, one in East Hampton, and one in Southampton. I have a Citarella in Greenwich, Connecticut. Suzy Chase: Oh, I didn't even know that. Joe Gurrera: Now we are opening in Hudson Yards. Suzy Chase: Oh, really? That's exciting. Suzy Chase: That's the hotspot. Joe Gurrera: It's going to be some project, I'll tell you that right now. Suzy Chase: Thanks, Joe, for coming on Cookery by the Book Podcast. Joe Gurrera: Thank you very much for having me. 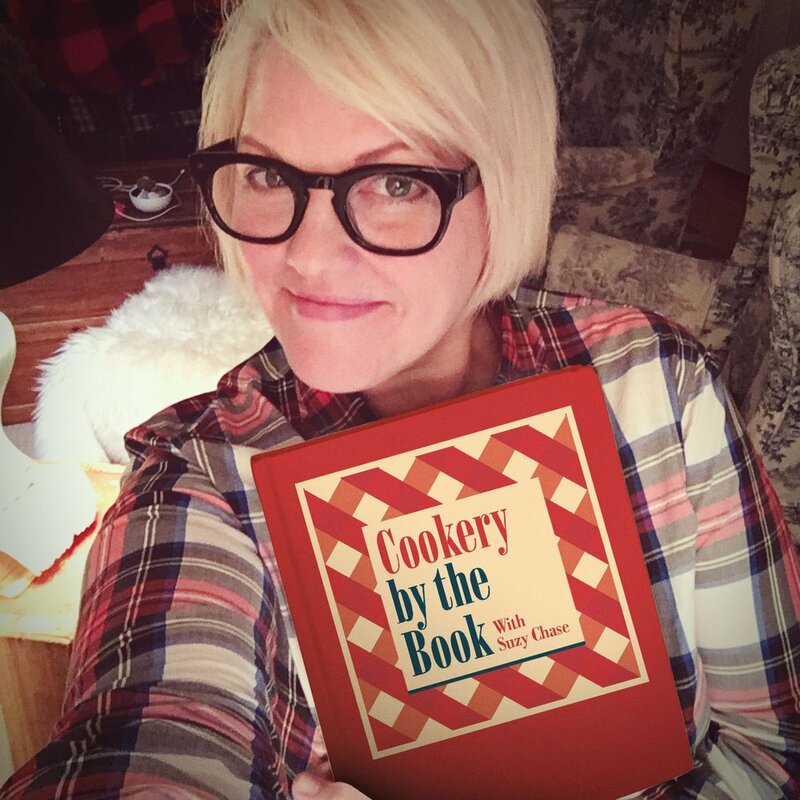 Suzy Chase: Follow me on Instagram at cookerybythebook, Twitter is ImSuzyChase, and download your Kitchen Mixtapes, music to cook by on Spotify at CookerbytheBook. As always, subscribe in Apple Podcasts.